Here are the List of Top 5 Productivity apps for 2017 rated by different sites in Nepal like Techlekh. At the end, below the like button there is comment section, let us know if you agree with this list and what app did we miss? Hamro Nepali Keyboard is a specially designed Nepali keyboard for those who love typing in the Nepali language. The built-in feature provides the functionality lets you use Nepali texts in any other application. To type anything in Nepali, you must write the “English” version of the Nepali word and the app will automatically translate the given word into Nepali. This application supports Unicode Transliteration, MPP based Romanized layout, and traditional layout. While the keyboard might seem different at first, you will get the hang of it. 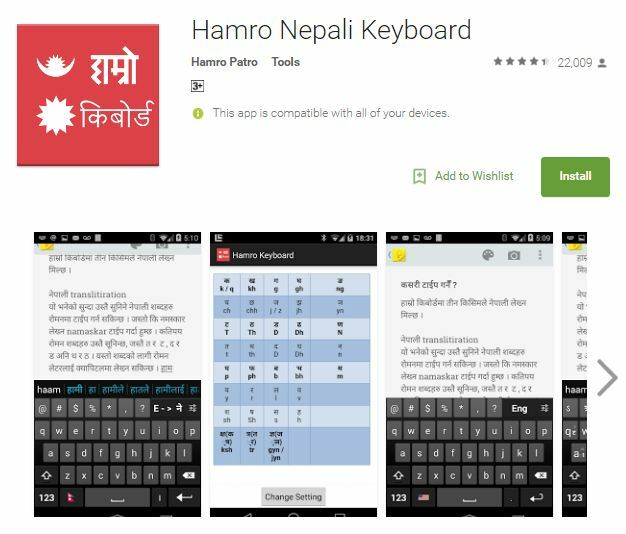 If you want an easier way to type in Nepali then Hamro Keyboard is the right app for you! 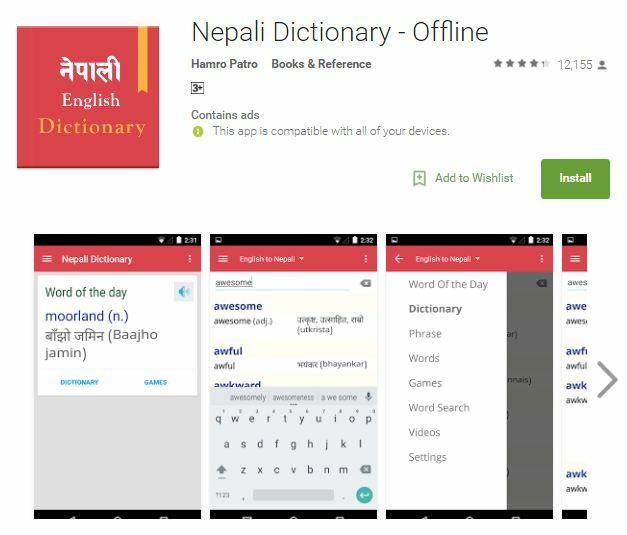 Nepali Dictionary – Offline is a useful app developed by Hamro Patro. This is a first Nepali offline dictionary that can be used without the internet once the full setup is completed. The app features a unique “two-way” dictionary, meaning that the words can be Nepali-English or vice versa. Other features include Word Game (Hangman), Word of the day, Pronunciation and Word Search Game. UI is plain and simple; the games are quite fun and they will definitely help you learn better Nepali. If you want to increase your Nepali vocabulary, then Nepali Dictionary is just the application for you! NET TV NEPAL is the first Commercial IPTV Service in Nepal that allows users to view live TV. It allows users to access their favorite Live TV channels, movies, and other contents through Android phones, tablets, iPhone, iPad, and etc. Most Nepali TV services are free to watch as long as users are connected to internet or Wi-Fi. Premium international channels can also be viewed via subscription at cheaper rates. The design is simple and easy to use. It is free for download on both Android and iOS. 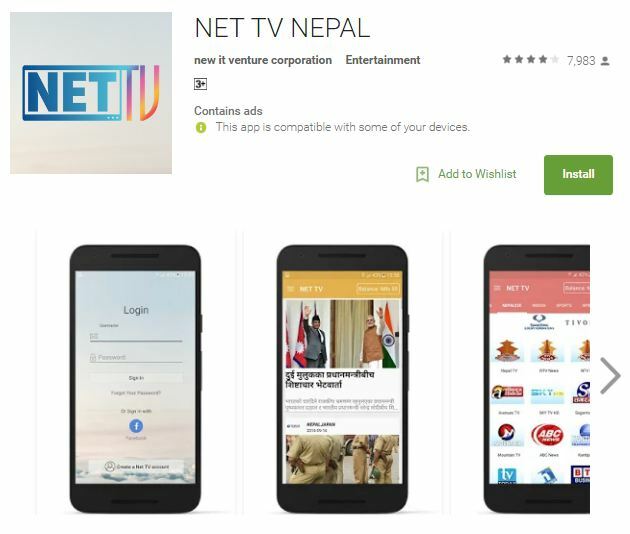 If you want to watch live TV on your phone, then NET TV Nepal app is just what you need! 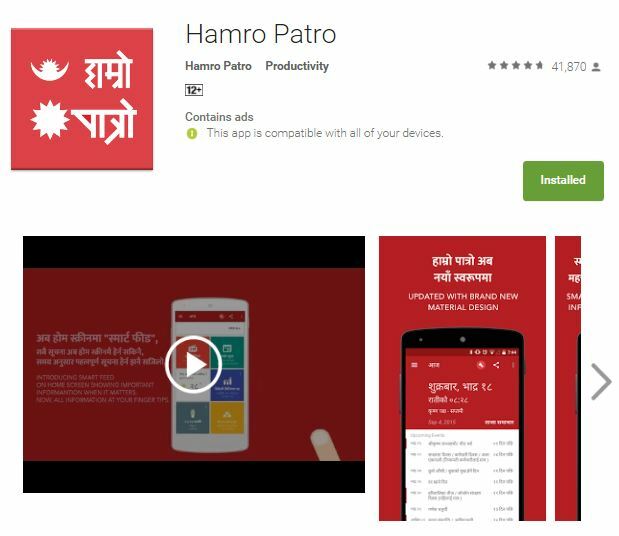 Hamro Patro is the most popular Nepali app in the play store. It is easy to use all informative app. This application is focused on Nepali demographic. It shows the Nepali calendar including public/festival holidays and highlights major events of Nepal. Other features include online FM, various news portal, Forex, horoscope and much more. This abundant list of features, combined with beautiful UI has made “Hamro Patro” the most downloaded app in Nepali market. If you want a Nepali calendar with extra features to enjoy, then Hamro Patro is just the app you’re searching for! eSewa is the next generation payment system in Nepal. It is a Digital Payment Portal which allows users to make online payment for various purposes. The core function is similar to Android Pay and Apple Pay which removes the necessity of physical money. The app is not limited to Mobile Banking. eSewa account can be used for various utility payments such as buying Recharge cards, online shopping, money transfer and much more. This application implements a secured online transaction so you need not worry about anything. 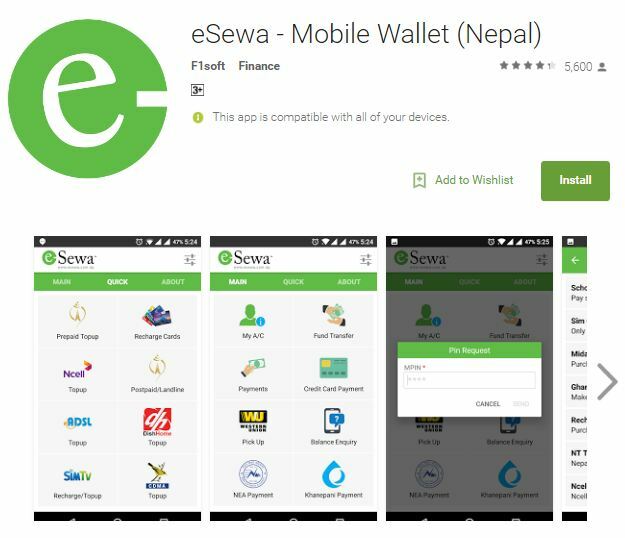 If you are looking for hassle-free online payments in Nepal, then just download eSewa!